The Conspicuous Gallantry Cross is an operational gallantry medal awarded to all ranks of the services in recognition of an act (or acts) of conspicuous gallantry during active operations against the enemy. It is the first time the Conspicuous Gallantry Cross has been collectively awarded to any military unit, and only the third occasion, since the start of the Second World War, that such a collective award has been bestowed. The first was the 1942 George Cross awarded to Malta and the second was in 1999 when the George Cross was awarded to the Royal Ulster Constabulary. The Royal Irish Regiment is the only unit of the United Kingdom's Armed Forces to have been presented with the Conspicuous Gallantry Cross. Above right, the Conspicuous Gallantry Cross (© Crown Copyright) is in the shape of a cross pattée in silver. Arranged behind the cross, and visible between the arms, is a laurel wreath with the circular medallion in the centre depicting the Royal, or Saint Edward's Crown. The reverse is plain and is engraved with the Regiment's full title and the award date, 6 October 2006. The cross has a pierced circular lug, through which a simple link is run to attach the cross to the pierced lug of a plain suspender bar. 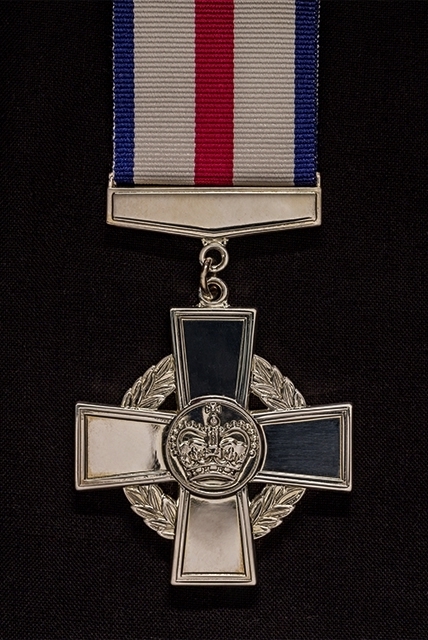 The medal is suspended by a white ribbon with two narrow dark blue stripes at the edge and one centre stripe in crimson. The distinction is borne on the Regimental Colours (above) in the upper canton nearest the fly. 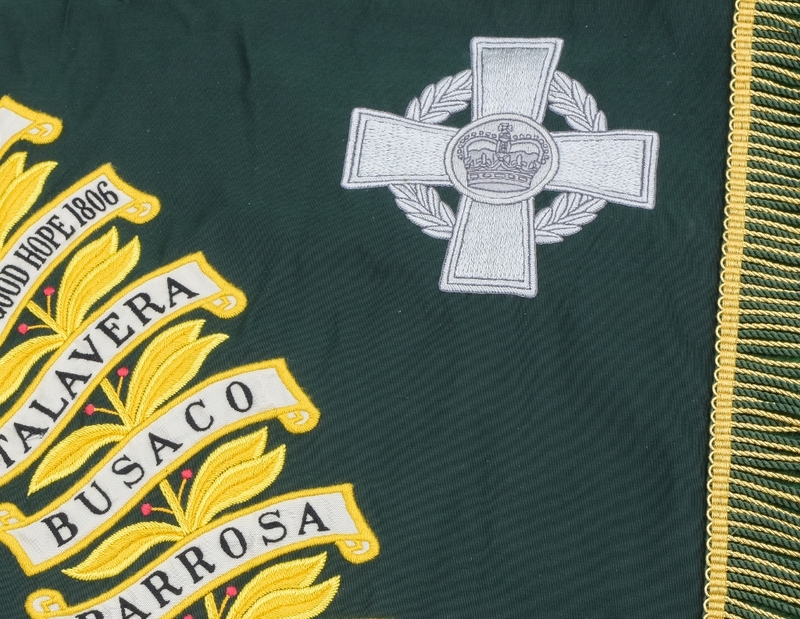 To read an account of the presentation by HM The Queen, please click on the event 'The Conspicuous Gallantry Cross is awarded to The Royal Irish Regiment'.